What sort of Disney fan am I? How dare I write for a site like MousePlanet, a site based out of California no less? Who do I think I am? Well, let me answer those questions. I dare to write for MousePlanet because they let me and I enjoy writing for MousePlanet. I think I’m just a guy who hasn’t made it all the way out to Anaheim yet. I’m also a guy who’s been involved with the TV and film business for over 20 years and hasn’t made it to Los Angeles yet either. No disrespect intended. I just haven’t gotten around to doing it. I’ve made it to California twice in my life exploring the other passions that guide me. I spent a week skiing in Lake Tahoe with my brother and some high school friends and a week in the San Francisco area staring at surf breaks, exploring Haight Ashbury and seeing a week of Grateful Dead shows by myself. I just haven’t made it south of Santa Cruz yet. So, that being said, I have many expectations of what I will find once I finally do make it to the original Magic Kingdom. I’ve read the books, searched the websites, collected the paraphernalia, watched the DVD’s and I feel like I know the place already. I’m well aware, however, that I’ll never really know what it’s like until I cross through the turnstiles in Anaheim and walk the paths that Walt himself walked. Someday, hopefully soon, I’ll make the pilgrimage. In the meantime, here are my Top 5 Things I Need to See at Disneyland. 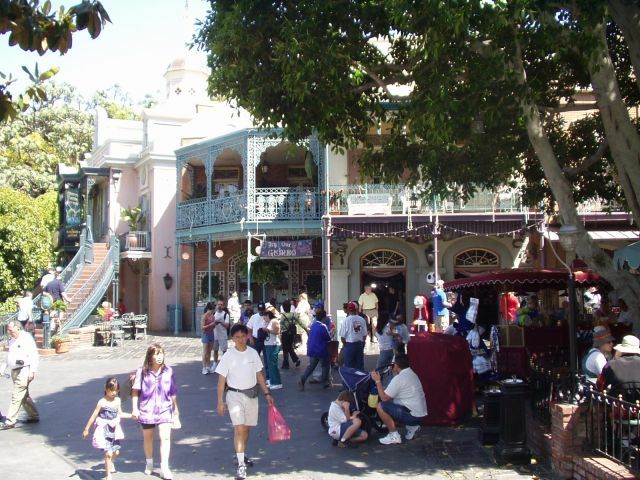 New Orleans Square. Photo by Lisa Perkis. I can’t wait to turn into New Orleans Square and see this unique-to-Anaheim “land.” New Orleans is another city on my list of places to see, and I’m sure Disney’s version is a bit sanitized. Still, the architecture, the music and the atmosphere really appeal to me, not too mention that two of my favorite attractions will be there waiting for me. That leads me into my next choice. Adventureland may be my favorite “land” in Florida’s Magic Kingdom and Pirates, my favorite ride. I love the films. I’ve read the books. I’m regularly playing the online game. But, from everything I’ve read and been told, I haven’t experienced the “greatest amusement park attraction of all time” until I ride the Disneyland version. Much longer, more elaborate, the ride through the bayou, not one but two drops, what else can I say? I won’t be a complete Pirates fan until I experience it. After conquering every mountain in Florida, once all four in a matter of a couple of hours, I’m ready for Walt’s original mountain, the Matterhorn. Add on top of that the fact that roller coasters, in general, are my favorite rides. Any roller coaster will do. From the wildest, fastest, looping, scream-inducing beasts all the way down to the simplest “wild mouse” to the rickety old wooden dinosaurs, nothing beats a roller coaster. Can I really call myself a roller coaster fan if I haven’t ridden this groundbreaking classic? The first tubular steel track roller coaster ever built, the original Disney yeti, the splash down pools that serve as brakes; I can’t wait. I'm ready to board the submarine. Photo by Adrienne Vincent-Phoenix. 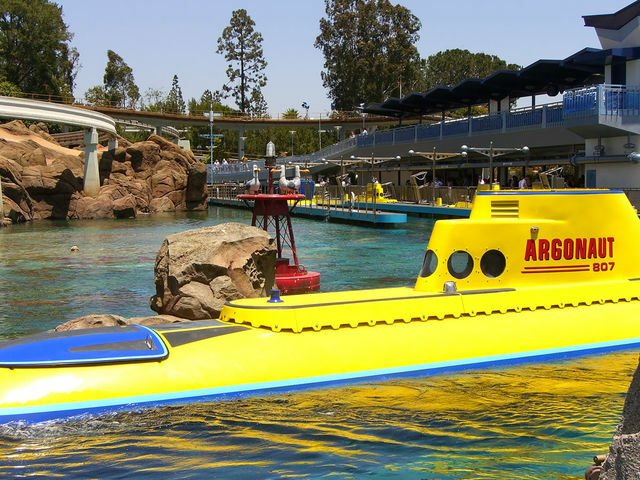 I never got to ride on the submarines in Orlando, so this will be a whole new Disney ride experience for me. I’ve watched a fan produced ride-through video of the newest incarnation of Walt’s submarine fleet and I’m ready to board. It’s the ride that I’m waiting for most. Why? They’re submarines…and I get to go in one…and it’s not a museum; it’s going to move, and it’s going to “submerge.” Forgive me as I instantly turn into a five-year-old version of myself, clutching my Gorgi Yellow Submarine toy and wondering, “Why haven’t my parents taken me to Disneyland yet?” I’m heading here first. Walt is always home. Photo by Lisa Perkis. This is really what it’s all about for me. I need to go to Disneyland for one simple reason, because Walt was there. He walked Disneyland’s streets and byways. He waited in line with guests. He drove the Main Street Vehicles. He worked on the attractions there, forever imparting his impeccable touch on them. Walt famously said to us, “Disneyland is your land.” In my eyes though, Disneyland was Walt’s land. Walt dreamed about Walt Disney World and EPCOT, but he lived his dreams at Disneyland. For just over 10 years, the last years of his life, Walt had his home away from home in Anaheim. 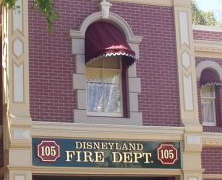 It’s well known that when Walt was staying in his apartment above the Main Street Firehouse, he would put a lamp on in the window. That lamp burns everyday in Disneyland, signifying Walt’s constant presence in his own personal magic kingdom. I need to see that and to feel that presence that you can’t truly feel in any other Disney park in the world. I won’t be a complete Disney fan until I see and feel that. That's My Disney Top 5 for today. What's yours? Click on the "Discuss this article on MousePad" link below and share your list!